President Obama’s name wasn’t on the ballot when Israelis went to the polls yesterday. But it may as well have been as the President, his top officials and political team all weighed in to defeat Israel’s Churchillian Prime Minister Benjamin Netanyahu. They failed, and their miscalculation needlessly soured U.S.-Israeli relations while making a negotiated peace between Israel and the Palestinians during the President’s remaining time in office even less likely. I last met Mr. Netanyahu during a Republican Jewish Coalition mission to Israel during my tenure as California Republican Party Chairman. The man I met was the same formidable leader in person as he appeared when speaking before a Joint Session of Congress earlier this month. President Obama, whose disdain for the Israeli leader is well known, gambled that he could turn the Netanyahu speech into a political liability as he and his surrogates worked tirelessly to make the speech “controversial.” Their strategy, it appeared, was to put Mr. Netanyahu into a box: withdrawing from the speech would make him look weak, while going through it would be harmful to the “fabric” of the U.S.-Israel relationship as National Security Adviser Susan Rice put it. Netanyahu gave the speech anyway, and in so doing he put the President’s Democrats’ in Congress into the box. They could either boycott the speech as the President’s people were encouraging them to, or they could attend and provide de facto approval to the Israeli leader and his appearance. Most attended, diminishing the President instead of the Prime Minister. In addition to the President’s clumsy attempt to turn the Prime Minister’s speech against him, Mr. Obama’s fingerprints were all over the left’s anti-Netanyahu campaign on the ground in Israel. That effort was supported by Mr. Obama’s former campaign director Jeremy Bird. Although Mr. Bird is not a government official and is free to make money in whatever leftist campaigns around the world he chooses, anyone involved in politics for more than a few minutes knows that if a single senior official at the White House had frowned upon it, Mr. Bird would have been anywhere but in Israel. Finally, the Senate is now investigating whether U.S. taxpayer funds were used to further reinforce the anti-Netanyahu campaign through a non-profit called One Voice, which according to press reports partnered with V15 in the anti-Netanyahu effort. The State Department claims public funding for One Voice stopped in November, before the elections were called a month later. However, to people experienced in politics the fact that State Department grants helped One Voice keep its doors open and build infrastructure that could then be turned against the elected Israeli government makes State’s excuses reliant upon a distinction without a difference. It’s little different than government grants going to ACORN ostensibly for voter registration purposes while the same infrastructure is used for overt political activity. Over the last few decades, every American President has sought to seal their legacy by facilitating peace in the Middle East. President Obama and his team clearly believed that such a negotiated peace would have been much more likely with a leftist Israeli government led by Labor’s Isaac Herzog than Mr. Netanyahu. And over the last week, polls suggested Mr. Obama was about to get his way. 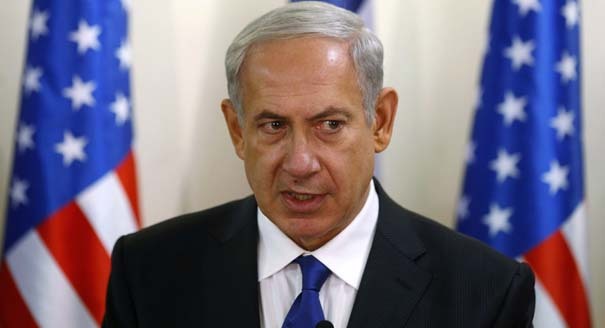 In doing so, Mr. Netanyahu changed both the political and policy dynamics. Politically, he reversed his slide and voters rewarded him with a 7-seat plurality in the Knesset. And in terms of policy, he put even more distance between himself and Mr. Obama and Secretary of State John Kerrey, both of whom seem almost as desperate to reach a deal – any deal – with the Palestinians as with Iran. Israeli politics are complicated – something I’ve learned during my time with both Israeli and Palestinian politicians. The President and his foreign policy team should have been smart enough to keep the American government out of internal Israeli politics. Their fumble further diminishes American global influence. Mr. Obama’s “reward” will be having Benjamin Netanyahu as Israel’s Prime Minister for every remaining day of his term. This entry was posted on Tuesday, March 17th, 2015 at 8:45 pm and is filed under Blog Posts.